The competition begins at 9:00 AM on February 28th. I was hoping to have the gear tooth cutter finished by now, but progress has been slow. I expect it to be ready Real Soon Now. Once it is finished, I'll have a bunch of design validation to do, including construction of a wooden model of the clock. Lars is still stuck in Siberia, and I continue to add things to his to do list. Hopefully he'll be able to devote a large portion of his time to preparations during the two weeks leading up to the event. After several failed attempts to drill, solder, and otherwise mangle a bicycle sprocket, I finally gave up. Those things are tough! 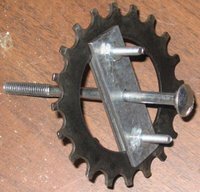 Fortunately, I was able to come up with a method of mounting a sprocket on a spindle by clamping it between bits of steel - no mangling required. Three holes will be drilled into each gear blank, one in the center for mounting on the spindle, and two to accept the machine screws of the sprocket assembly so that the gear blank turns with the sprocket. 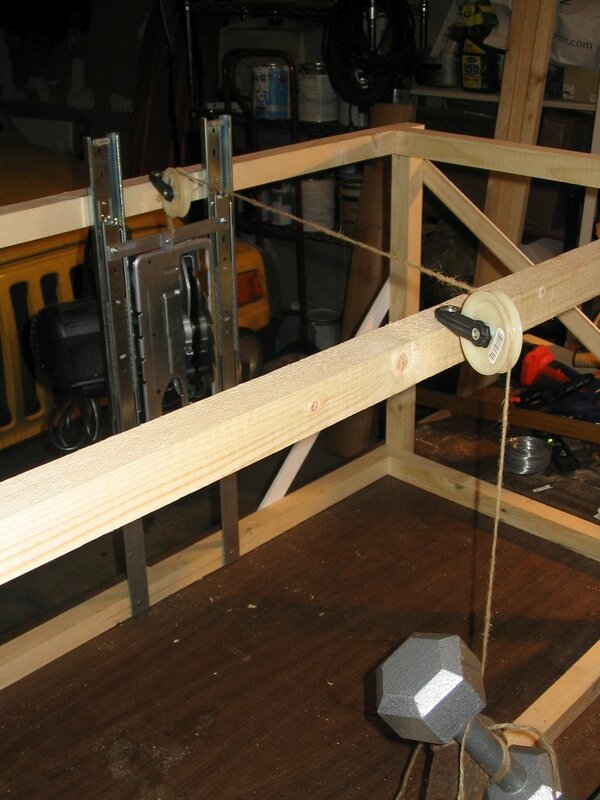 The counterweight system (great idea, Richard!) is a bit crude, but it works great for now. The saw motion is quite smooth. 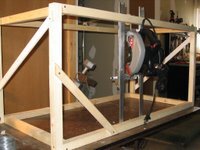 The gear tooth cutter frame and saw assembly are finished. The diagonal frame supports are temporary; I'm not certain where I'll be able to put them after adding the gear blank holding assembly. After a couple more tips from the guys at Wheat Ridge Cyclery and a few spent cut-off discs on my little die grinder, I finally have individual sprockets! I wasn't able to remove the smallest two sprockets from the freewheel, but I don't think that will be a problem. I don't need to use the smallest one anyway, so it can just tag along with the other. The sizes (in number of teeth) are 16, 20, 24, 28, and 32 (and a 14 I don't need). 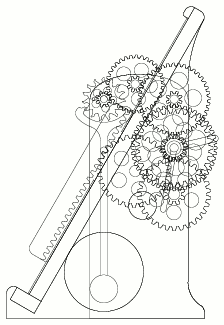 Various pairs will be used in the gear tooth cutter in order to make all the different gears for the clock. 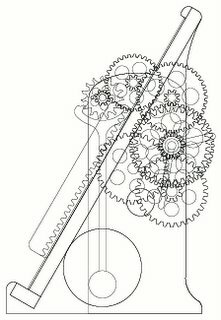 The sprockets will allow the gear blank to move in just the right way to allow successive passes of the cutting blade to trace an involute tooth profile. In March of 2005, Emily and I visited Belfair, Lars's house in Fairbanks. Alas, we saw no northern lights, but we did get to view the wonders of the World Ice Art Championships. While we were there, Lars and I got to talking about how fabulous some of the kinetic sculptures were. These included ice slides that you could slide down and little, basket-like, one-person merry-go-rounds. We also saw a couple of ice chains that led Lars to marvel, "You could build a working clock out of ice!" I couldn't banish the idea from my head. On the flight home, I abandoned the concept of powering an ice clock with weights on chains in favor of the "falling hammer" mechanism, which I later abandoned in favor of the "sliding sled." Several months and many discarded ideas later, I had a complete design for the clock and a rough design for a gear tooth cutter. I had hoped to send Lars a working model in the mail, knowing that he would instantly understand my proposal to enter this year's event. As the new year loomed, however, I still hadn't constructed a gear tooth cutter, so I decided to try to convince him without the model. It wasn't hard. I picked up a circular saw this weekend and constructed a rail assembly. 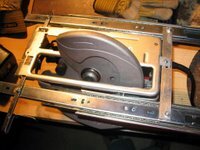 It is made from a couple of drawer rails attached to the saw by the saw's rip guide and a little extra steel. 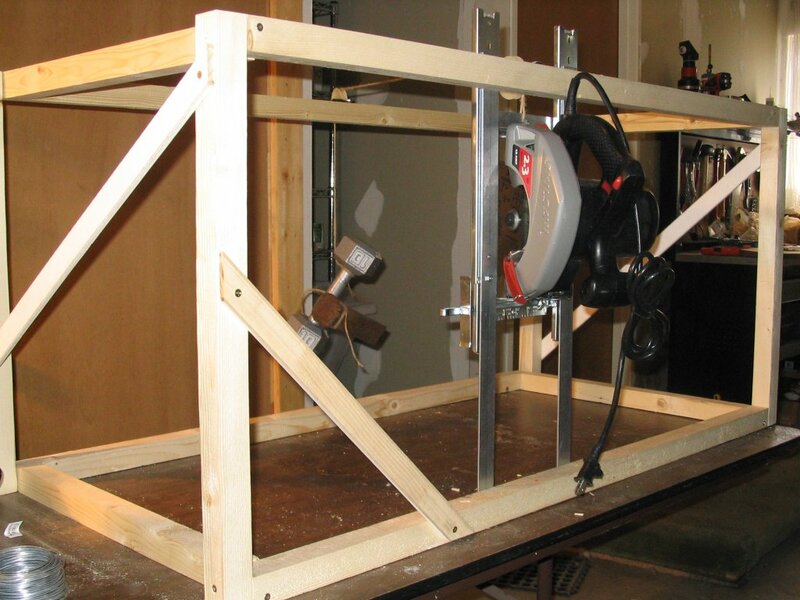 The rails will be mounted on the frame of the gear tooth cutter so that the saw travels vertically. The cutting angle of the saw can be adjusted to accommodate different gear pressure angles, although I plan to only use 20°. We'll have to cut one side of the teeth with one angle and the other side with another angle. I had hoped to use the saw's angle adjustment to accomplish this, but I couldn't figure out a good way to mount the rails for dual-angle cutting without the rails getting in the way of either the gear blank or the saw's motor. We'll have to flip the gear blank over instead. I tried my hand at ice welding for the first time tonight. I used an iron to melt two flat surfaces and let them freeze together. The resulting bond was pretty strong; I couldn't break apart the two pieces by hand without using another object for leverage. The ambient temperature was around 15°F. This is something we'll need to practice quite a bit as the strength of the bond is clearly dependent on how well the pieces fit together. We may want to use some kind of hot plate with perpendicular guides. What I thought was a cassette is actually a freewheel, a SunTour Two-Notch Freewheel, to be precise. I figured that removing the lockring would allow me to separate the individual sprockets, but I couldn't get it loose without a special tool. The nice folks at Wheat Ridge Cyclery did the job for me, but it turns out that the lockring only holds the bearings together, not the sprockets. I received an old bicycle cassette in the mail today. (Thanks, Dad!) 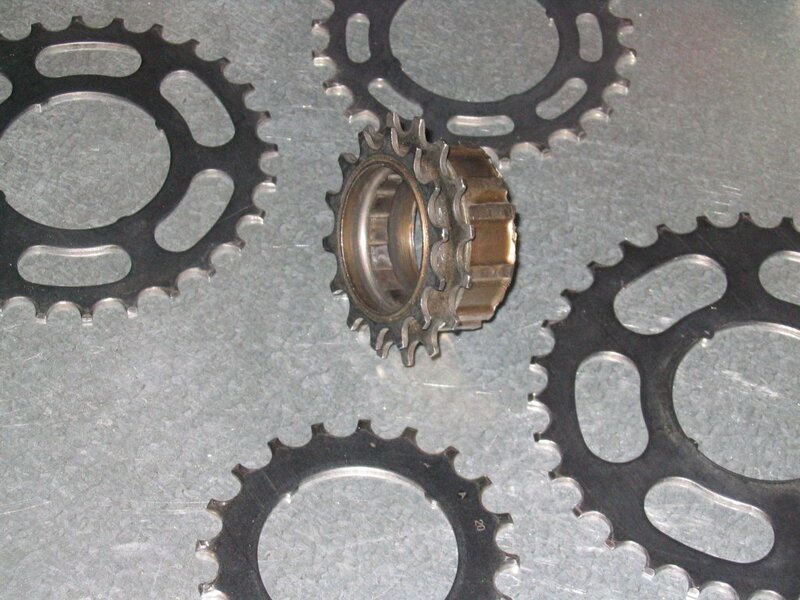 I plan on using most of the attached sprockets in my gear tooth cutter. Now I just have to figure out how to disassemble the thing. . . . I just got an email from Sharon, Lars's fiancée, who had received a call from Lars on a sat phone. Although Lars made it to Russia, his cargo is still stuck in customs. He won't be back until mid-February! 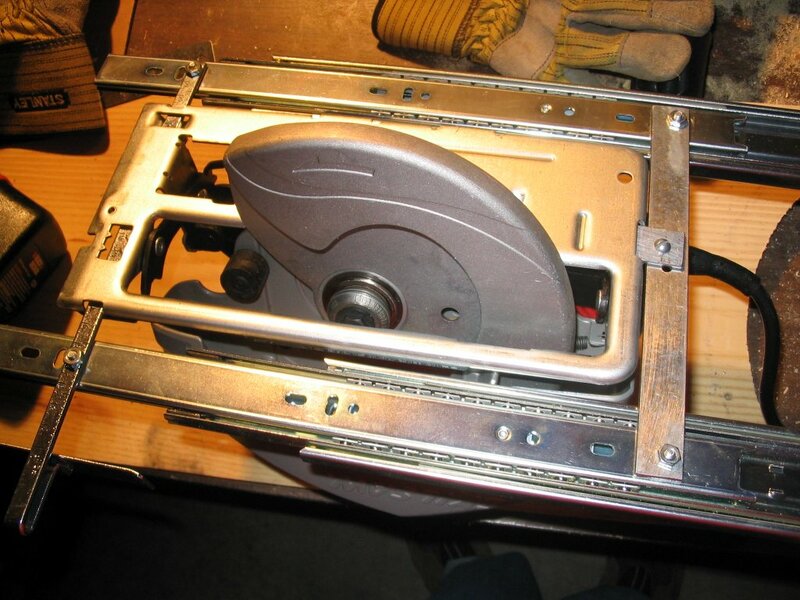 My power miter saw makes clean cuts through ice as easily as it cuts soft wood. I'm now considering using a circular saw in my gear tooth cutter instead of an angle grinder, but I'll have to wait and see how the angle grinder (on order) performs first. Drilling through ice with a plain old twist bit works okay, but you have to clear hard packed snow out of the bit after every inch or so of depth. Spade bits, on the other hand, zip right through several inches of ice in one shot. We may need to make our own adjustable spade bit that goes up to 10 cm diameter (I can't find one for sale larger than 3 inches). I had no idea that a hand saw could be so incredibly effective. My crosscut saw is terrible on ice, but the pruning saw I got for Christmas (thanks, Charlie!) rocks. We will be given a single block of natural ice, 8 feet by 5 feet by 3 feet. We will have three days to carve the clock from the ice. Power tools may be used for carving but not for lifting or moving. 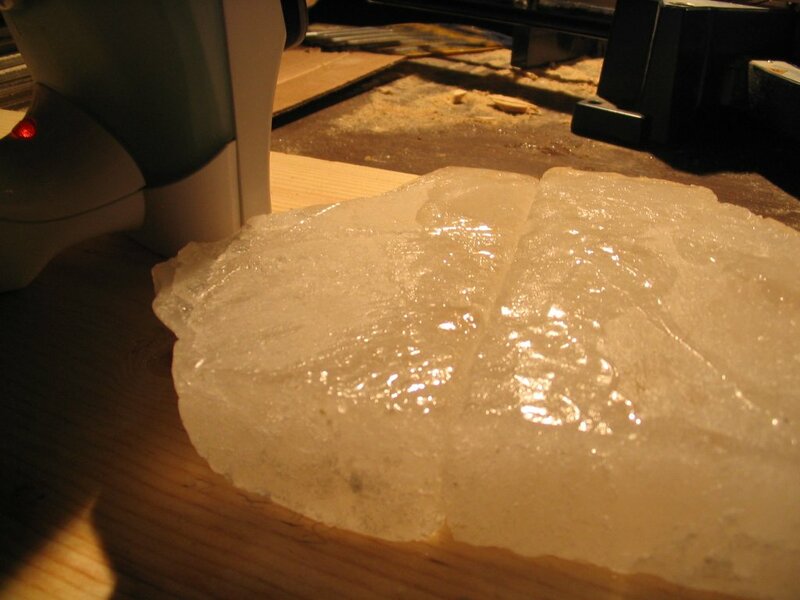 The finished product must consist entirely of ice from the original block. Separate parts may be bonded together by melting two surfaces and allowing them to freeze to each other. Immediately after signing us up for Ice Art, Lars had to leave for a job somewhere in the frozen wilderness of the Kamchatka Peninsula. He said he'll return in two to four weeks. Hopefully he's making lots of money that we can blow on crazy ice sculpting equipment! I'm sure he's coming up with more ideas for the clock. His job is to work on big stuff (slab cutting, lifting, and moving) while I work on small stuff (part templates and gear teeth). My current challenge is to build a gear tooth cutting machine. I've had a rough idea of how such a thing should work for a few months, but I need to develop a final design and actually build it. We'll have three days to build the clock, and 264 gear teeth (not counting the 15 teeth on the escape wheel) to carve during that time. With everything else we'll have to do, I figure we can't afford to spend more than 2 minutes on each tooth.